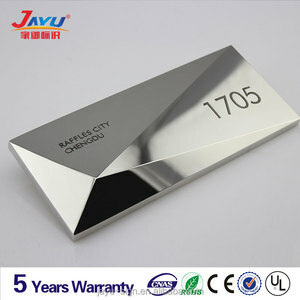 Suzhou Jayu Sign Co., Ltd.
We are 6 years golden supplier on Alibaba with ISO9001, SGS and BV certification. Our company is also the exhibitor on ISA(International Sign Association) Expo and China SIgn Expo. Cosun Sign is the only factory with the ISO & SGS certification and the most experienced Sign factory in China. We have a long history in the production and export. Professional R&D department develop unique style as your request. E. Professional QC department guarantee product quality. F .
Application: Elevator, building decoration, house doors, house decoration, Kitchen decoration, electrical equipment, digital product, etc. 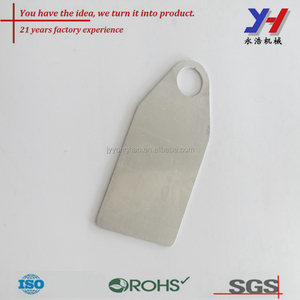 Sample Plate & Real Shot: Applications: Packaging & Shipping Choose US = Choose the Good Quality and Best Service! If any question please don't hesitate to let us known, our Contact Information for 24 hours is as below: Contact Person: Mr.
4.We will keep secret for customer sale area,design ideas and all other private information With 200 passionate people and 7000 suqre meters modern factory in china, we are the experts for retail design, construction management, project management, manufacturing. Our products include mobile phone display racks, home appliance display shelves, cosmetic display stands, jewelry display racks, underwear display shelves, commodity display stands and other POP displays. We are a professional one-stop POP display supplier, offering many good solutions for customers! Shenyang Jinda Keyi Logo Design And Production Co., Ltd.
Signage Leader (Xiamen) Technology Co., Ltd. Characteristic: Use professional digital Multi-wheel heads Polishing machine and the high efficient single-wheel head polishing machine. Application: Elevator, building decoration, house doors, house decoration, Kitchen decoration, electrical equipment, digital product, etc. 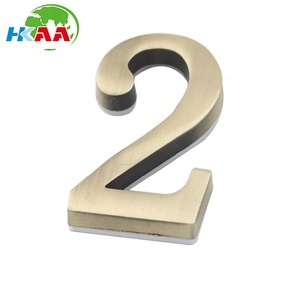 If any question please don't hesitate to let us known, Our Contact Information for 24 hours is as below: Contact person: Mr.
Alibaba.com offers 1,655 copper door plate products. About 11% of these are door & window handles, 4% are door plates, and 2% are steel sheets. A wide variety of copper door plate options are available to you, such as aisi, astm, and gb. 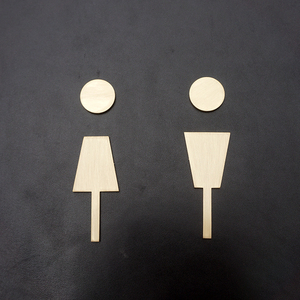 You can also choose from stainless steel, aluminum alloy, and brass. 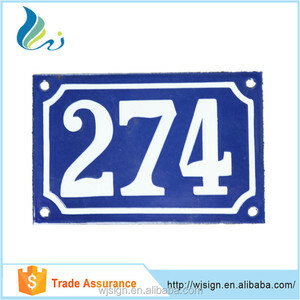 As well as from sign plate, house number. And whether copper door plate is door, window, or automobile;auto;car. 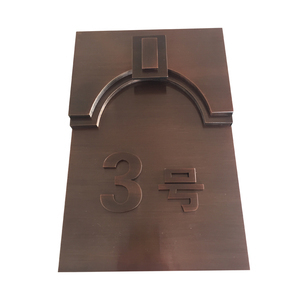 There are 1,576 copper door plate suppliers, mainly located in Asia. The top supplying countries are China (Mainland), India, and Turkey, which supply 97%, 1%, and 1% of copper door plate respectively. 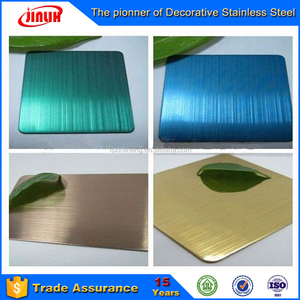 Copper door plate products are most popular in North America, Domestic Market, and Mid East. You can ensure product safety by selecting from certified suppliers, including 472 with ISO9001, 249 with Other, and 80 with ISO14001 certification.